This formula is designed to encourage new drivers to our circuits to enjoy the atmosphere and thrills of driving on an oval without substantial financial investment, or for those drivers who cannot give the commitment necessary to compete at the very high level of all our present formulae. 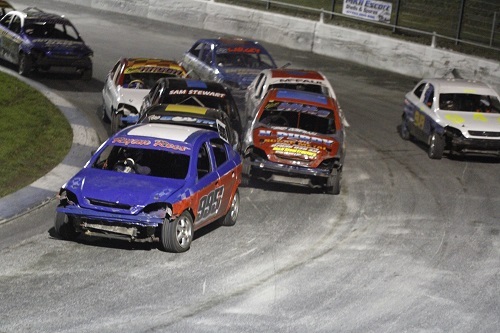 ProStocks feature cheap cars in LIMITED CONTACT racing. 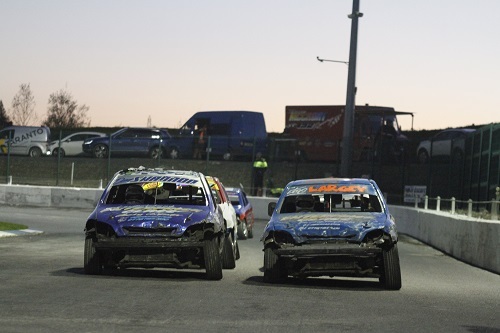 The concept of the racing is to nudge or spin out the car in front rather than the intentional fencing of National Bangers. 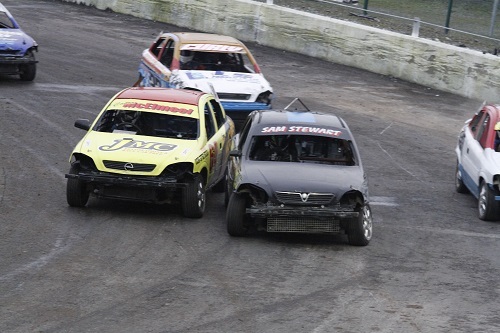 Cars seen to deliberately fence, steer other cars into parked cars, follow in or other acts of intentional wrecking will be suspended from the meeting and face a further period of suspension at the discretion of the promotion. 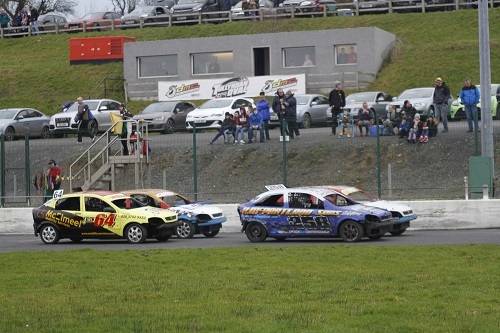 They are most definitely a cheap and cheerful entry formula to oval motorsport, and a formula where the Ulster drivers excel. The World Cup for the formula will be contested at Aghadowey Oval in September 2019.